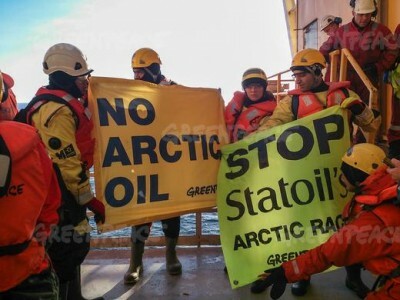 UPDATED: The Norwegian government’s decision to open up new areas of the Barents Sea to oil and gas exploration is “embarrassing and shameful,” claim Norway’s major environmental organizations and several top politicians in opposition. They claim the plans also violate the international climate agreement reached in Paris last fall, while hard-pressed areas of Northern Norway welcome them for the economic development they can bring. Prime Minister Erna Solberg was facing harsh criticism after her minister in charge of oil and energy, Tord Lien, announced plans on Wednesday to award 10 new licenses consisting of 40 blocks in total. 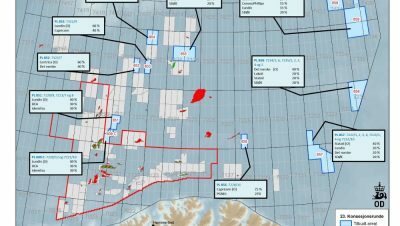 Three of the licenses are located in the newly opened area of the southeastern Barents Sea, off Norway’s northernmost county of Finnmark. 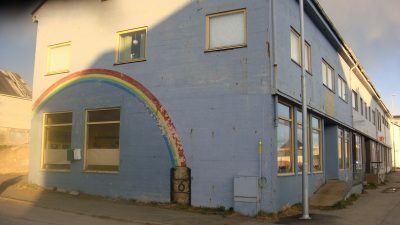 It’s an area that was booming just a few years ago but which now is suffering from a severe economic downturn following a major mining company’s bankruptcy in Kirkenes, economic sanctions by and against neighbouring Russia, the costs of accommodating thousands of asylum seekers who streamed over the Russian border in eastern Finnmark last fall and rising unemployment. Kirkenes has turned to tourism and shipping as businesses to nurture as it restructures its economy away from mining, for example. Major offshore oil and gas projects could be a boon for the local maritime sector, while the area would also benefit from oil and gas workers needing accommodation or other services. They’ve seen how Hammerfest has benefited from major offshore oil and projects, while officials in Honningsvåg are still trying to get Statoil to land its oil and gas from the huge Johan Castberg field on its shores. Municipalities like Sør-Varanger, where Kirkenes is located, are keen on generating the jobs that oil and gas can bring. Kirkenes Mayor Rune Rafaelsen, for example, told the Independent Barents Observer that the plans will spur new energy cooperation with Russia (external link), not least since Russian company Lukoil was among the winners of new licenses. The mayor hailed “Arctic oil for peace,” while others told the Independent Barents Observer that the plans will have “real repercussions in the north” and spur wealth creation. The Solberg government’s plans were meeting stiff resistance in other quarters, though. Environmental groups Bellona and Greenpeace made their objections known, as did opposition politicians in the Socialist Left and Greens parties. It’s the first time in 21 years that the government is awarding licenses in completely new areas of Norway’s offshore territory, as part of its 23rd licensing round. Interest in the area has been high, despite relatively low oil prices that may not make investment costs in the new oil fields feasible. Meanwhile, debate continued within Norway. “This is the wrong medicine for the Norwegian economy, and it’s pure poison for the environment and for following up the Paris agreement,” declared Rasmus Hansson, leader of the Greens Party in Norway (Miljøpartiet de grønne). Audun Lysbakken, leader of the Socialist Left party (SV), was equally harsh: “This is irresponsible environmental policy. It subjects a fragile area to pressure and it’s old-fashioned industrial politics.” There is no way the 40 new blocks can be developed, critics say, without dramatically increasing carbon issues and even posing hazards for another major natural resource of the area, seafood. A total of 13 oil companies including Statoil and Lundin have been offered participating interest in the oil field development, while five companies can operate them. They think the exploration area in the Barents can hold as much as a billion barrels of oil equivalents. That, Lundin’s chief executive in Norway Krisiting Færøvik said, compares to five times the oil produced from the Edvard Grieg field. “It can mean oil production for at least another generation or more,” she aded, after Lundin was allocated three of the 10 exploration licenses. Statoil won five of the new licenses, and expectes to drill its first exploration well by the autumn of 2017. Trond Omdal, oil analyst at Pareto in Oslo, said it was important for the government open up the new areas, if the Norwegian oil industry is to sustain itself. Many don’t want that, and they try to steer Norway and its economy away from oil. They were somewhat cheered that several of the world’s leading oil companies didn’t even apply for the licenses, because oil prices at today’s levels won’t make the exploration and any subsequent production profitable. Neither Shell, Exxon, Toral nor Eni applied for the licenses.